I don’t normally find laundry mesmerising. But then I saw Brett – the Berkeley Robot for the Elimination of Tedious Tasks – in action. His mechanical arms buzz away as they carefully sort and manipulate a jumbled pile of clothes and tea towels into orderly piles. It’s interesting to watch, but painfully slow – a reminder of just how difficult it is for machines to replicate even the simplest of human tasks. Somewhat annoyingly, Brett’s folding – when eventually completed – is neater than mine. 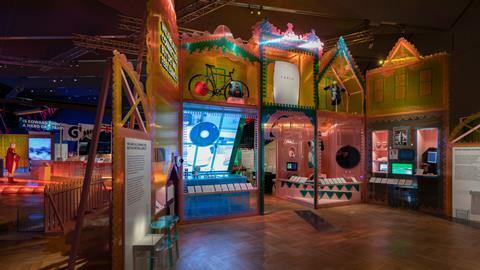 Brett is one of the first exhibits on show at the V&A’s exhibition The Future Starts Here, for which you must leave behind the sculptures and splendour of the museum’s ground floor and descend into a colourfully lit, suitably futuristic underground gallery. This exhibition explores the technology that will shape our future and features more than 100 objects provided by companies and research institutions. 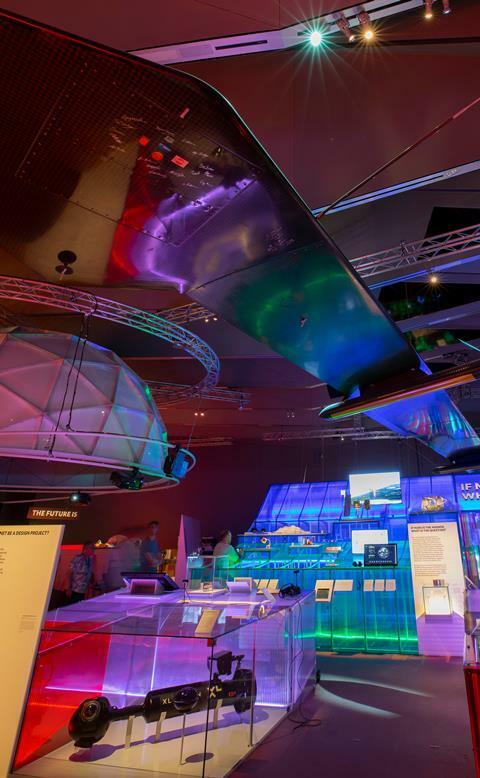 These exhibits range from early prototypes and conceptual designs to items already in use, and some of them are on public display for the first time. The first parts of the exhibition focus on how smart devices can improve our health and comfort, and features next-generation gadgets from the likes of Fitbit, Tesla, Amazon and Apple, to name a few. An arrangement of devices within a model ‘smart’ home asks whether we are outsourcing companionship, using artificially intelligence as a substitute for real human interaction. Another explains that we are beginning to use cutting-edge science to enhance our bodies, increasingly blurring the distinction between man and machine. There is a lot to see, including some real gems for technophiles – objects sculpted by the world’s first zero gravity 3D printer, a coffee maker that works in space and a deep-sea drone. The hands-on elements are not to be missed – visitors can sit in a (stationary) self-driving car, or have a go at shaping Earth’s landscape with Tellart’s interactive sandpit, which uses sensors and machine learning to bring alive the mountains and canyons you mould with aerial photography. The interpretation throughout is extremely well written, posing questions that are designed to get you thinking. 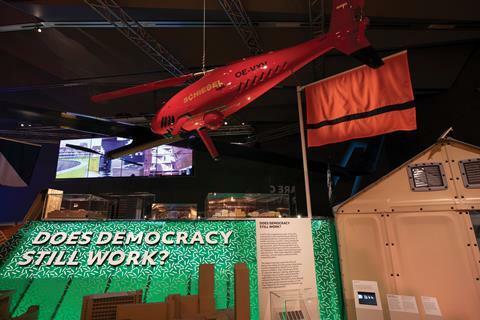 Visitors are encouraged to consider the future of democracy, the potential for immortality and the possibility of exploring the universe beyond Earth. I would encourage anyone who wants a glimpse into futures near and distant to take a look. But be warned, you may leave with more questions than you went in with. Could your toaster turn against you? Could your future boss be an algorithm? And should the planet be a design project? Only time will tell.